Want to study a Master’s in risk management? Our part time MSc Insurance and Risk Management course allows you to learn and earn at the same time. Developed in response to the global attention to risk and insurance – particularly from a technological and political view, our MSc Insurance Risk Management course focuses on the relationship between the two disciplines, ensuring you graduate ready to become a leading force in any organisation. There is an increased demand for directors, risk managers and consultants qualified at postgraduate level, to help appreciate the increasing demand for organisations to implement effective risk reporting systems. With this in mind, our course is designed to enhance your skills and train you to become a qualified, assured director. This is a part-time course delivered online, with material developed for you to explore and apply the techniques of risk management to the world of insurance. You’ll be encouraged to share your work experiences and to evaluate real-life case studies, both of which will bring real-life experiences to your studies. You will be taught by an established team with over 20 years’ experience of delivering risk based courses. We get to know our students as individuals and support their specific needs, or can signpost them to other areas of the University that can provide additional, complimentary support. Our course is delivered with flexible distance learning, so you can fit your studies alongside work and personal commitments. We use real live international case studies to facilitate learning and bridge the gap between theory and practice. To register for the Masters degree you should normally hold a recognised Bachelor's degree of a good standard. Applicants with suitable work experience and/or qualifications other than those above may be considered for entry. Applicants with suitable work experience and/or qualifications other than those above may be considered for entry. Credit (exemption) may be given on a case-by-case basis for individual modules on the basis of prior learning and practice based experience against a standard list of exemptions which can be provided. Honours degree from a UK University. You will be charged on a per module basis. Please indicate in the Personal Statement section of the application form that you wish to study via Distance Learning. This module provides students with the opportunity to explore the basic principles of risk management and the role of insurance within these principles. This module explores the impact of the external environment on the risks faced by organisations. It examines issues relevant to specific sectors and geographical areas, and the needs and demands of various stakeholder groups, including regulatory authorities. The specific programme learning outcome applicable for this module is to provide students with the knowledge and understanding of the laws which form the background to the operations of insurance. The students should understand the practical applications of the laws in the operations of insurance and the systems required to administer them. By the end of this module the students should be able to analyse and evaluate how an insurance operation is managed. The specific programme learning outcome applicable for this module is to allow students to explore strategic decision making within the context of insurance, and demonstrate how advances in risk management have improved the strategic options available to organisations. The module will provide an understanding of relevant economic concepts, the interaction with accounting and their application to the insurance business. You should appreciate the impact of ethics, corporate governance and risk management on the insurance business and its environment. As this is a research project of the students’ choice in the area of insurance and risk, any/all of the programme learning outcomes can apply depending on the area that the student has chosen. It will be the responsibility of the student and their allocated mentor to identify which programme learning outcomes relate to the research project. The aim of this option module is to develop the student to become an expert in the field of Underwriting Practice, developing their knowledge and requiring them to challenge current wisdom with a view to suggesting novel and innovative approaches. As such the module will contribute to all the learning outcomes of the programme to a greater or lesser extent. The aim of this option module is to develop the student to become an expert in the field of Claims Practice, developing their knowledge and requiring them to challenge current wisdom with a view to suggesting novel and innovative approaches. As such the module will contribute to all the learning outcomes of the programme to a greater or lesser extent. This course is offered as a distance learning option, enabling you to study at a time that suits you. Delivery of course materials is done through our e-learning platform, Moodle. Supporting materials are made available via email. 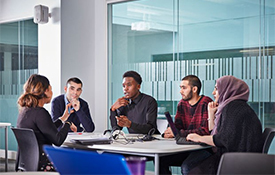 If you’re an international student, you can sit your examinations at your British council offices for a fee payable locally of around £100 per examination.We encourage your communication and confidence with active learning methods, such as group work, seminars, debates and quizzes. You will have in-depth look at risk management and insurance concepts, combining risk and insurance to provide an effective understanding of how both in strategic management and organisation management, as well as a wide range of internal audit techniques. These topics will help you become ingrained in successful audit and business management. You could consider studying a Master’s course in Risk Management. Graduates can progress to complete a PhD in a related area of risk management and insurance management. All assignments are grounded in real working organisations, allowing you to apply your knowledge into a real working environment. The majority of students enrolling on this course will already be in employment, although not necessarily in the area of insurance risk management. You will be encouraged to use your own organisations in the consideration of topic areas thus increasing their profile within that organisation. Should this prove difficult the team has a strong track record of working with individual students to provide either case studies and / or internships which can also be utilised.